Heat oven to 180C and arrange the mushrooms on a baking tray. Scatter over the cheese, walnuts, thyme sprigs and vegan butter. Pop in the oven and cook for 10 mins until the cheese is melted and the mushrooms are softened. 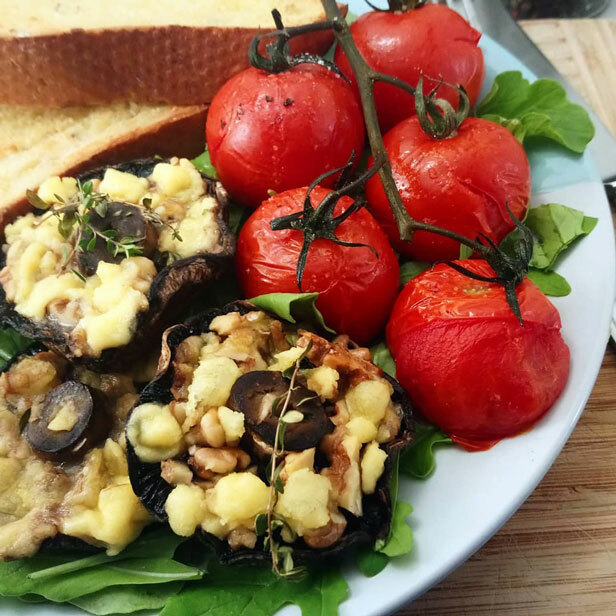 Arrange some rocket leaves on plates and place the mushrooms on top.